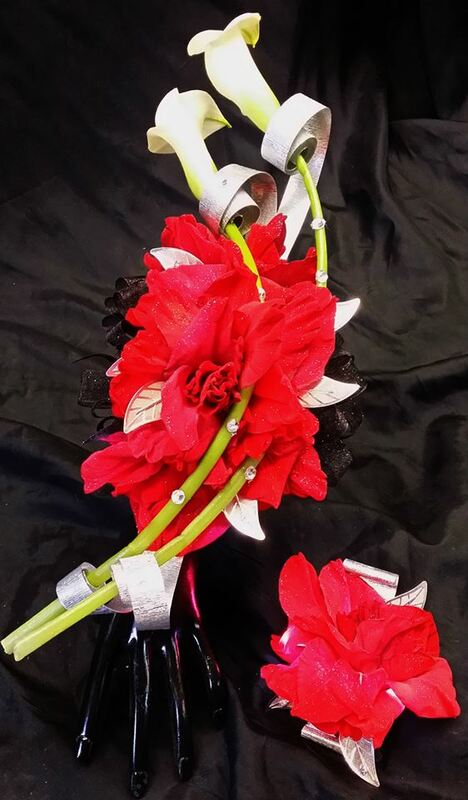 Prom Flowers: Dress over Pants for Prom? Is the street trend dress over pants coming to prom? BOTH the best and worst dressed list! She's not the first one to try this look out on the red carpet. Here's Emma Watson from last year.. 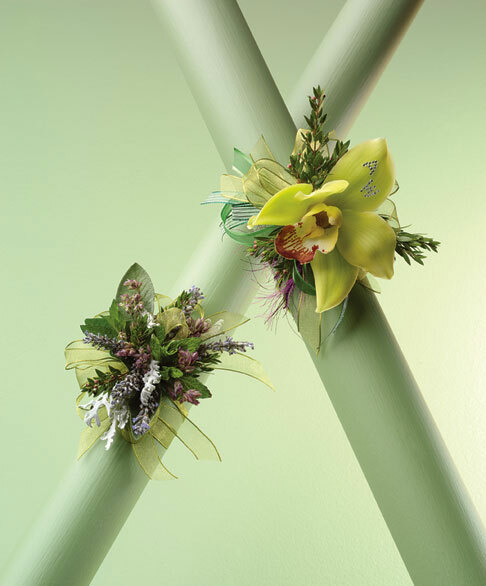 Does this look warrant special consideration when choosing a corsage or floral piece? Yes and no, .. 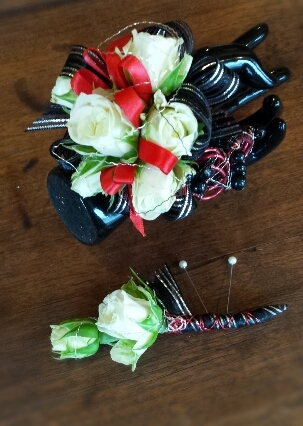 If your outfit is a little edgy (like Emma's) then your corsage can push the envelope a little as well.. 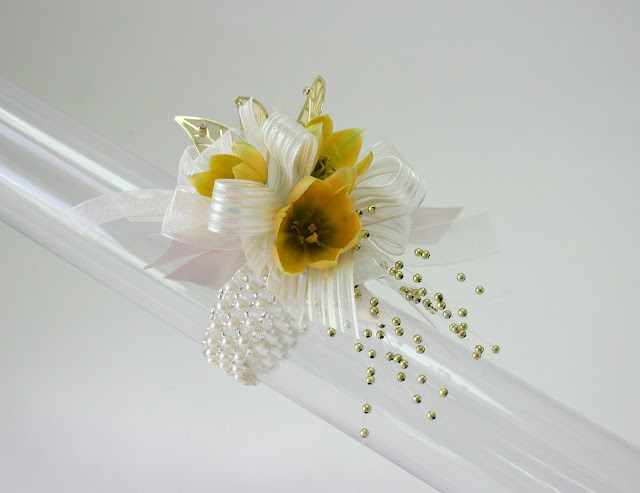 This curving Calla lily design would look great for both Emma's looks..
or how about this one designed on a wire cuff? delicate color and embroidery detail of her dress..
Will this trend make it's way into prom this year?